Each year, 15 million babies across the globe are born preterm while almost 40 per cent of children born less than 32 weeks’ gestation have a motor impairment. Researchers are now trialling a new app designed to help earlier identify babies at high risk of cerebral palsy and other neurodevelopmental impairments, writes Karen Keast. With a brother with autism spectrum disorder (ASD), Associate Professor Alicia Spittle has always been passionate about helping children with disabilities. When she began practising as a physiotherapist at Melbourne’s Royal Women’s Hospital and began her PhD, Dr Spittle’s research interest began to focus on uncovering evidence to support the use of early intervention for improving the motor outcomes of children born preterm, including those with cerebral palsy. “I was really interested to see what evidence there was that if we started doing physiotherapy or other interventions earlier, whether we’d actually change the trajectory of children who particularly were born preterm or at risk of other disabilities,” she says. 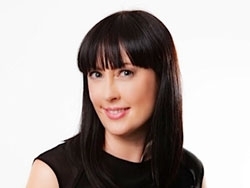 Now a paediatrics lecturer at the University of Melbourne, Dr Spittle is a senior physiotherapist at the Royal Women’s Hospital and also leads the motor team of the Victorian Infant Brain Studies group at the Murdoch Childrens Research Institute. This year, Dr Spittle has embarked on a National Health and Medical Research Council (NHMRC) Career Development Fellowship that involves four studies, including two randomised controlled trials, a longitudinal study and a feasibility study. The feasibility study will trial the use of a smart phone app that enables parents to record and upload a video of their baby’s natural body movements. Health professionals based at the Murdoch Childrens Research Institute and the University of Melbourne will then review the videos using the observational-based General Movements Assessment. While not a diagnostic assessment, the General Movements Assessment looks at the specific movement patterns of babies when awake and lying on their backs. Where the general movements are absent or abnormal, the baby is at higher risk of neurological conditions, such as cerebral palsy. The app, Baby Moves, was developed last year by Melbourne-based technology company Curve Tomorrow in conjunction with Dr Spittle and her team, with funding from the Cerebral Palsy Alliance and the Murdoch Childrens Research Institute. The app is now being tested in two studies. 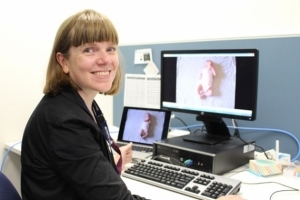 A Queensland study is assessing its use for more than 1000 babies born preterm while a Victorian study is testing the app in babies born extremely preterm, born at less than 28 weeks or less than 1000 grams, across Victoria. Dr Spittle says the app, which could be launched next year, will be a major advantage to families, particularly those living in rural and remote areas, who would otherwise find it challenging to access the specialised assessment. “Parents can videotape at home and we’ve got specific instructions and specific prompts on that app, so that they do it on the right date, they do it for the right time and they use the right technique,” she says. “Then the video is uploaded onto our secure server instantly and then we’re able to review those videos and give the parents feedback based upon what we observe. “At the moment, it is a tool that requires specialist assessment and unless your child has access to those specialised, centralised services, people are disadvantaged. The app is designed to screen babies with those requiring a further assessment set to be linked in with their local health service. Dr Spittle says the app is already garnering attention beyond Australian shores, with plans for an American-based study. “Hopefully we will be able to help more families to get their babies, being at-risk of cerebral palsy and other developmental problems, potentially detected earlier so that we can get babies access to intervention,” she says. Dr Spittle’s research also includes several randomised controlled trials aimed at improving child and family outcomes. One trial is following up a cohort of children born very preterm. An initial NHMRC grant enabled Dr Spittle and her team to examine the babies’ development during the neonatal intensive care unit (NICU) period, including when they reached the age at which they were expected to be born and another follow up at the two year mark. “What we wanted to do with that study was to see if can we predict really early on what’s going to happen longer term, so we can start targeting early intervention services earlier or potential trialled different interventions earlier,” she says. The children will now be followed up at the age of five, to investigate whether the early assessments for very preterm babies can predict their development in the lead up to beginning primary school. “What we also want to know in our current research proposal is to look at how being born early affects not only their motor development, because we know motor development is affected, but whether it actually affects their participation,” she says. “We’re looking at activities to be monitoring in these children and to see if they take the recommended number of steps per day that children should be taking. For this trial, researchers have recruited 150 children, born less than 30 weeks, and 150 children who were born at full term to examine whether children born preterm are less active at the age of five than children born at term. Ultimately, Dr Spittle hopes one day her work will lead to most conditions, from cerebral palsy through to developmental coordination disorder, being detected much earlier in the lifespan. Earlier detection will enable the most effective and targeted interventions to be put into place earlier. “There’s still a long way to go in terms of implementation but I think it’s very exciting,” Dr Spittle says. “The medical systems are so good now at helping preterm babies and other babies survive and now we really need to look at the quality of outcomes for these children.